Electronic games are any games that include an electronic component, or online versions of games that also belong to another category. 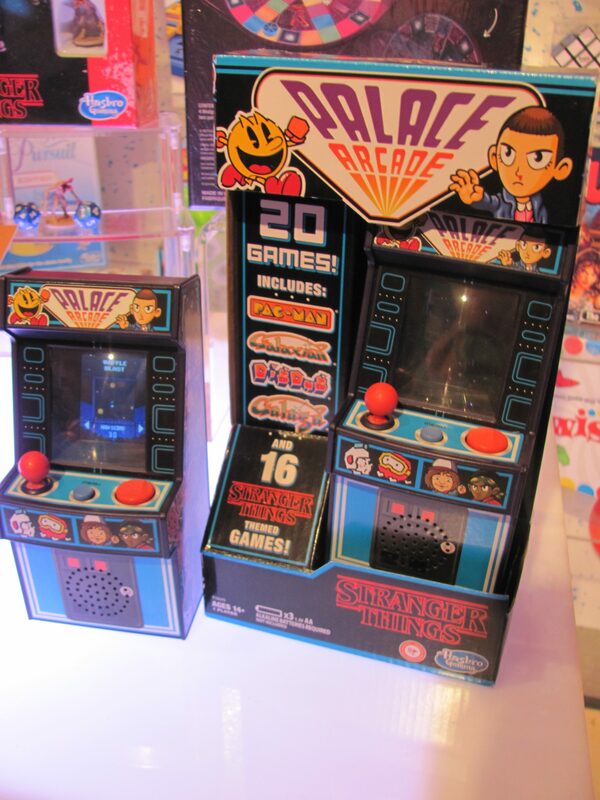 Presented by Hasbro at New York Toy Fair were three Stranger Things games coming to retail at the beginning of May. 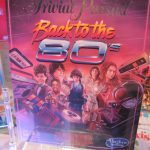 Stranger Things Back to the 80s Trivial Pursuit ($20) includes questions about the show and 1980s pop culture. 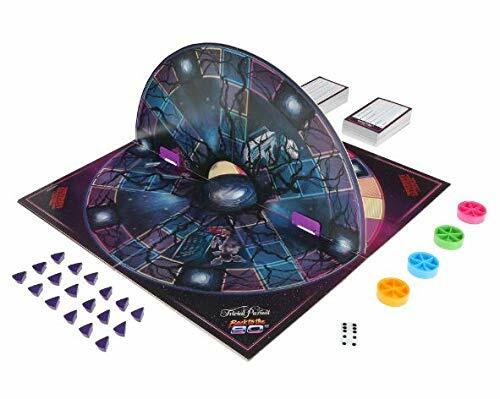 It also features a board that flips to an alternative movement track representing the Upside Down. 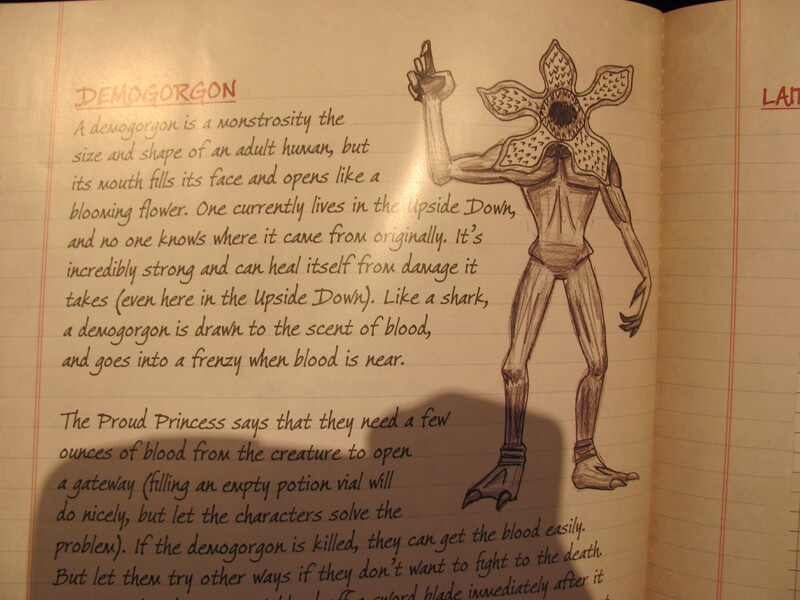 When a player’s piece lands on a portal, they’re all sent to the Upside Down, where it’s possible to lose a wedge. 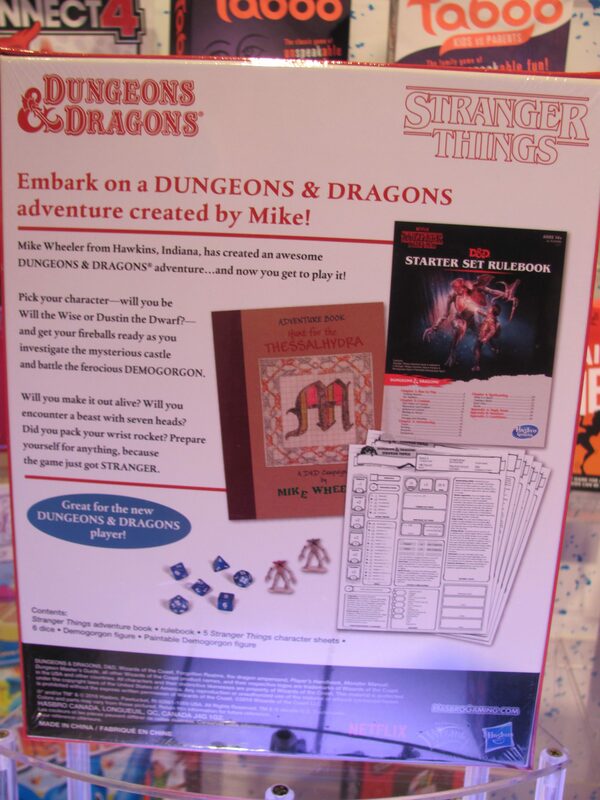 A Stranger Things Dungeons & Dragons Starter Set ($25) includes essential rules, dice, two Demogorgon plastic figures (one painted, one not), an adventure book, and character sheets representing those played in the show. 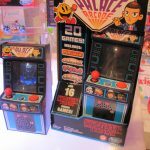 The Stranger Things Palace Arcade console ($30) is a working miniaturized arcade-style video game system with 20 classic titles (such as Pac-Man and Galaga) and 16 more based on the show. Twilight Struggle from GMT for 46% off. Lords of Waterdeep from WOTC for 41% off. 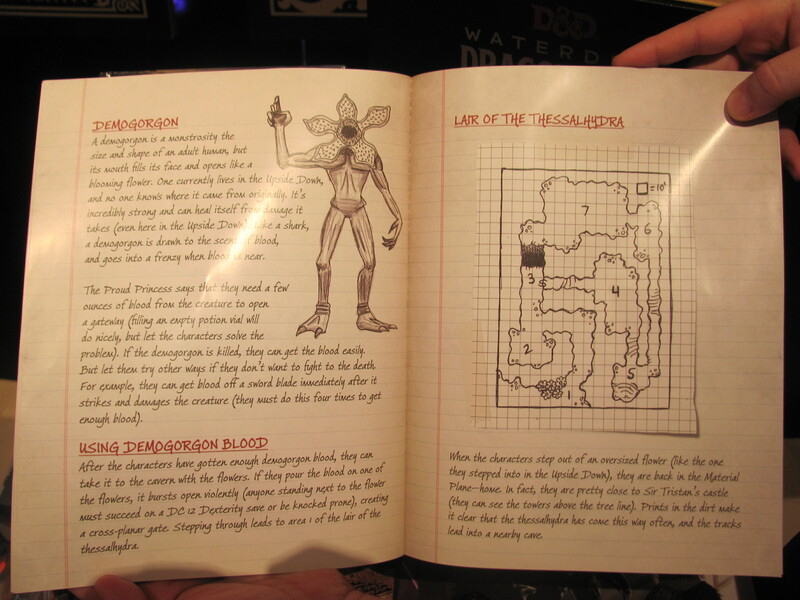 Dungeons & Dragons Players Handbook from WOTC for 44% off. Star Wars Edge of the Empire Beginner Game from Fantasy Flight Games for 42% off. In the Year of the Dragon from Ravensburger for 56% off. Jenga from Hasbro for 43% off. Sushi Go! from Gamewright for 47% off. Codenames Duet from Czech Games Edition for 36% off. Betrayal at House on the Hill from WOTC for 44% off. Mastermind from Pressman for 44% off. Googly Eyes from Goliath for 45% off. Sequence from Jax for 50% off. Ultimate Werewolf Deluxe Edition for 48% off. Clank! from Renegade for 36% off. Pandemic Legacy Season 2 from Z-Man for 42% off. Conan from Monolith for 49% off. Dominion Intrigue (second edition) for 37% off and Dominion Empires for 36% off. Clans of Caledonia from Karma Games for 39% off. Islebound from Red Raven Game for 46% off. Harry Potter Magical Beasts Game from Pressman for 55% off. Power Grid from Rio Grande Games for 36% off and Power Grid Deluxe for 35% off. The Colonists from Mayfair for 52% off. Agricola from Mayfair for 35% off. SeaFall from Plaid Hat for 71% off. Experimental Meds expansion for Pandemic: The Cure from Z-Man for 60% off. The Rose King from Thames & Kosmos for 46% off. SpyNet from Z-Man for 53% off. Smugglers from Thames & Kosmos for 77% off. Space Cadets Away Missions from Stronghold Games for 45% off. Otys from Asmodee for 49% off. New York 1901 from Blue Orange Games for 38% off. 1846: The Race for the Midwest from GMT for 39% off. Exoplanets from Greater Than Games for 42% off. Atari Missile Command from IDW for 67% off. The Lord of the Rings: Journey to Mordor from FFG for 67% off. Kingdom Builder from Queen Games for 40% off. Sons of Anarchy, Men of Mayhem from Gale Force 9 for 71% off. Tyrants of the Underdark from Gale Force 9 for 35% off. Starship Samurai from Plaid Hat Games for 38% off. Survive! 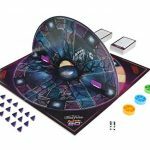 Space Attack from Stronghold Games for 48% off. Stallion Canyon expansion for Flip ’em Up from Pretzel Games for 76% off. Robotech RPG Tactics from Palladium for 51% off. Black Fleet from Asmodee for 50% off. 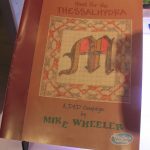 Mythe from Funforge for 76% off. Dungeons & Dragons: Assault of the Giants Premium Edition from WizKids for 44% off. H.P. Lovecraft’s Kingsport Festival from Passport Games for 62% off. Terminator Genisys from River Horse for 64% off. How to Train Your Dragon: Terror of the Sea for 75% off. Richard the Lionheart from CMON for 44% off. Level 7 Invasion by Privateer Press for 46% off. Cave Troll from FFG for 46% off. Fire & Axe from IDW for 60% off. Minuscule from Asmodee for 51% off. Neptun from Queen Games for 58% off. Emily Reviews is giving away Are You Dumber Than a Box of Rocks? from University Games. 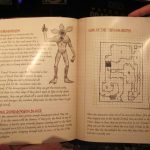 OSR-style roleplaying games are featured in DriveThruRPG’s Good Ol’ Games Sale. Current offers at Bundle of Holding include Mutants & Masterminds Earth-Prime, with the Basic Hero Handbook in the Starter Collection and full core rulebook in the Bonus Collection, Shadowrun 5E Essentials, with the rulebook and key supplements, and Shadowrun 5E Runs & Guns, with additional supplements. 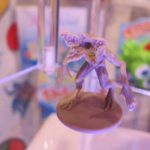 Zatu Games (U.K.) is giving away Duelosaur Island from Pandasaurus Games. Enter with a picture of game night-date night. 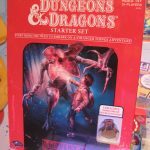 The Inside Voices group is giving away a package of board game accessories, including a game tracker from Daft Concepts, a Quiver card case, and a game bag from Board Game Tables. Handelabra’s digital board games, including Bottom of the 9th and Sentinels of the Multiverse, are on-sale for $1. The Call of Cthulhu video game is 25% off on Steam. Brawlin’ Brothers is giving away The Big Score from Van Ryder Games. GJJGames is giving away five copies of The Board Game Designer’s Guide audio book. Mayday Games’ Winter Sale runs through the 15th with buy-one-get-one on Poetry Slam and Bad Doctor, and other games up to 60% off. 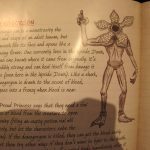 Making Time for Memories is giving away two Harry Potter games from Pressman: Triwizard Board Game and Magical Beasts Game. Troy University in Alabama is looking for adjunct faculty with tabletop experience to teach online Game Design and Development classes. Along with several sales and distribution positions, Learning Resources has an opening for a Marketing Coordinator to handle social media and influencer campaigns and support trade shows. At Educational Insights in Gardena, California, there are opportunities for an Associate Marketing Manager, to manage PR, social media, and the company’s customer loyalty program, and a Product Manager, to lead conceptualization, manage vendor relationships, and collaborate with functional teams as required in the development of new products. ThinkFun in Alexandria, Virginia has an opening for a Human Resources Manager. Principal Game Designer, requiring significant experience and a passion for Magic, The Gathering. 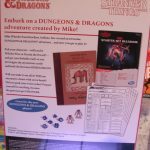 Creative Lead to help grow the company’s digital business (Magic, D&D, and Avalon Hill). Director of Communications and Publicity, skilled at both corporate and brand-level communications. Product Marketing Manager, supporting regional development and localization for MtG. Principal Game Designer for digital publishing, requiring at least 8 years of AAA experience. Tabletop Tycoon in Londonderry, New Hampshire needs an Accounting & Bookkeeping Lead. Responsibilities include developing budgets, reviewing invoices, and managing workflows. Games Workshop has many openings in sales and retail, also one for a Trainee Citadel Miniatures Designer and a one for a Visual Merchandising Manager. The former will sculpt minis. The latter will create product displays. An unnamed United States board game manufacturer is looking for a UK Marketing Director, among who’s responsibilities will be managing two PR companies and an advertising agency. Bezier Games is in need of an experienced, full-time Social Media Manager to generate buzz. The position is based in Knoxville, Tennessee. Renegade Game Studios is seeking a Development Coordinator to manage the playtesting process from its San Diego office. The company is also looking for a Video Editor to help with 1-2 projects per month. Atlas Games has an opening for a Marketing Coordinator in Duluth, Minnesota. The successful candidate must have industry knowledge, as well as skills in writing, editing, analytics, and task management. At Bundle of Holding, the Adventures in Middle Earth offer gets you six products for Middle Earth roleplaying with Dungeons & Dragons 5th Edition for $30. 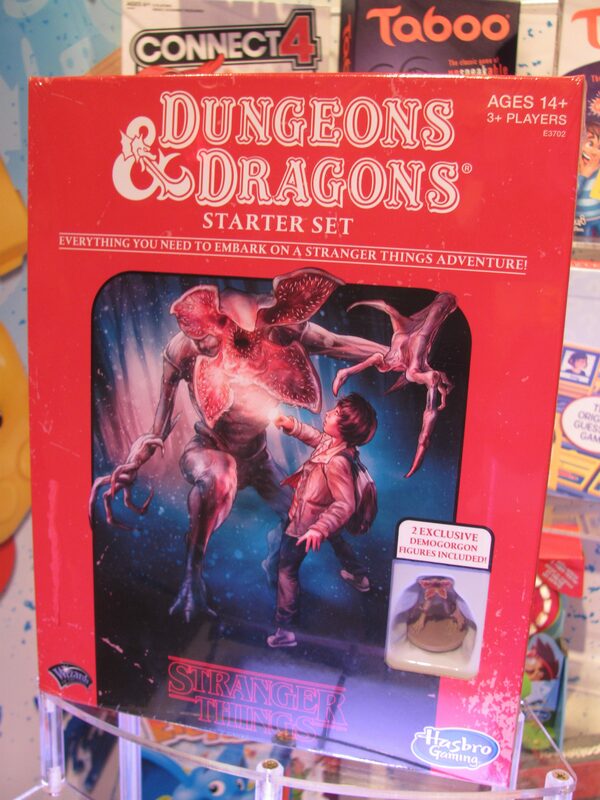 And the Doctor Who RPG offer includes core rules and six supplements for $32. 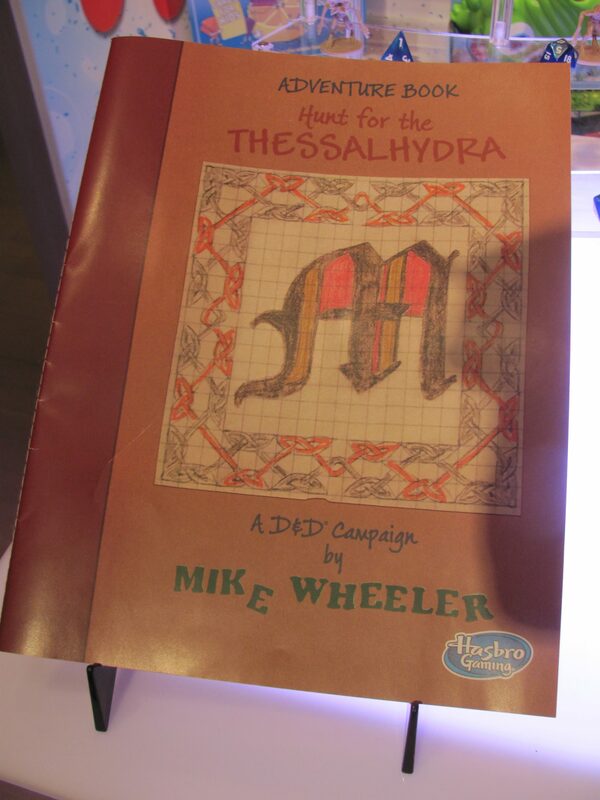 At Humble Bundle, the 5E Dragons, Dungeons, Maps & More bundle includes dozens of third-party D&D adventures, supplements, and print-and-play products, everything for $15. Digital board games from Acram Digital, including Instanbul and Steam: Rails to Riches, are up to 60% off in the company’s Winter Sale. Save 10% through tomorrow at The Broken Token with code “TREATYOSELF”. Warlord Games’ Bad Santa Deals means selected Gates of Antares products are 50% off, ebooks are 20% off, and among other deals you get a free plastic box set with the purchase of any core box. Discounting 12 RPG ebook titles 99% off regular retail price is Skirmisher Publishing’s Holiday Festivity bundle at DriveThruRPG. Spin Master has singed a 3 year licensing agreement with Warner Bros. Consumer Products for DC comics properties. The agreement covers games, puzzles, action toys, remote control and robotic vehicles, and water toys beginning in spring 2020. 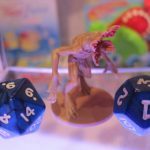 Goliath continues to grow, acquiring U.K. based Vivid Toy Group and moving in to the Italian market through a partnership with distributor MacDue. With the acquisition of Vivid, Goliath plans to launch 20 new games in the U.K. market next year. Drumond Park has signed on with Tomy UK as exclusive distributor for all the former’s games in the U.K. and Ireland. 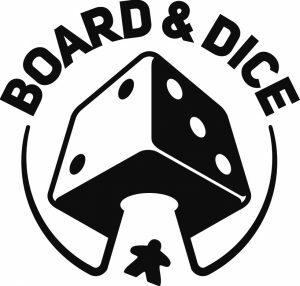 NSKN Games (Dice Settlers, Teotihuacan) and Board & Dice Games (Beet Empire, Dice Brewing) are merging. The combined company will continue operations under the Board & Dice name. 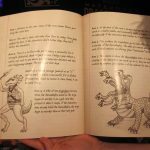 With the passing of designer Greg Stafford and earlier Stewart Wieck, of the games’ latest publisher, Nocturnal Media, the RPGs King Arthur Pendragon and Prince Valliant have been transferred again to Chaosium. After a couple of messy PR situations involving insensitive or extremist material in game books, Paradox Interactive is stepping back from the publishing business but not abandoning the World of Darkness altogether. Instead, Paradox is moving to a licensing model and integrating White Wolf’s operations in to the parent company. Modiphius Entertainment, which was already handling distribution, is taking over development and publication for Vampire: The Masquerade 5th Edition. 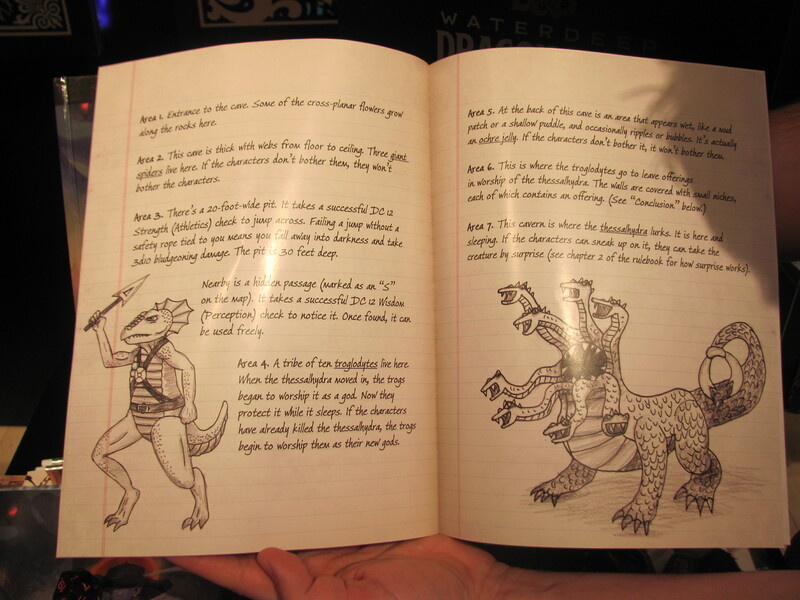 This will include production of various supplements (such as The Fall of London Chronicle and Players Guide), as well as oversight of other licensees (Onyx Path Publishing, Elderwood Academy, Dogmight Games, and others). Impressions Game Distribution Services is being acquired by Flat River Group. 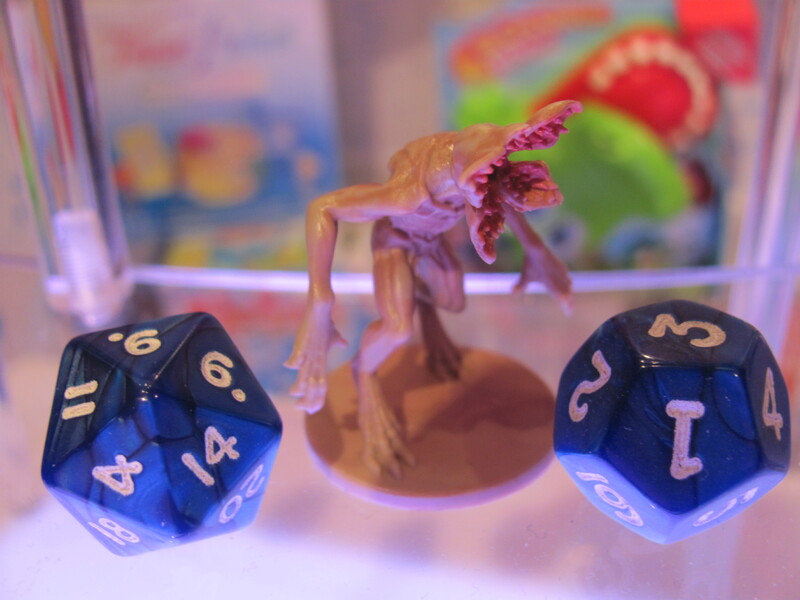 The latter is a toy and game distribution company with business in e-commerce and crowdfunding fulfillment. Impressions founder Aldo Ghiozzi will continue with the combined company. 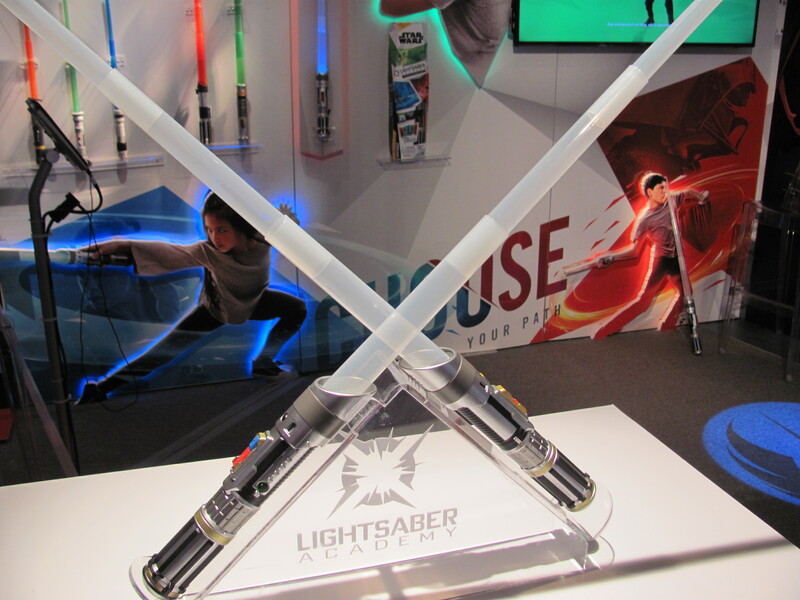 Scientific Games and Hasbro have extended their license agreement through 2025. 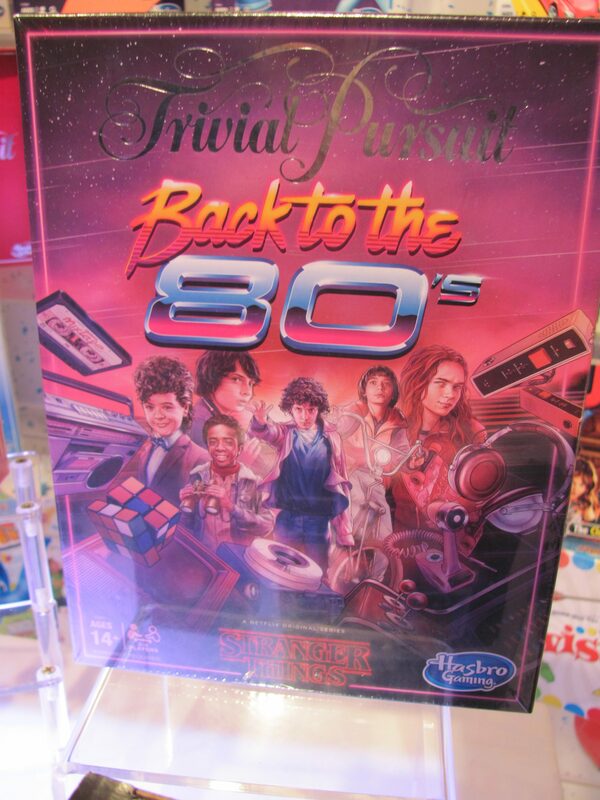 The agreement covers the use of Hasbro properties, including Monopoly, Battleship, Clue, Yahtzee, and others for lotteries, slot machines, online gaming, and now also table games.